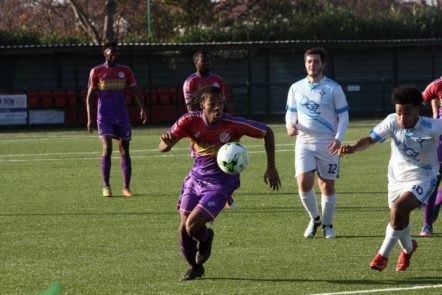 A tricky tie against a team with their roots in the western corner of Spain took Clapton CFC to the western corner of London, where they tasted away cup joy for the second week running. The 4-1 win over Deportivo Galicia Reserves, in the shadow of Heathrow Airport, booked the Tons a ticket to the quarter final of the Jim Rogers President’s Cup. 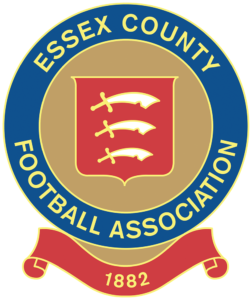 Gaffer Geoff Ocran changed up the eleven that had dealt with Letchworth Garden City Eagles the previous weekend, with Vlad Bendovskyy returning in goal and first starts for Tré Cartier and Bogdan Panescu. 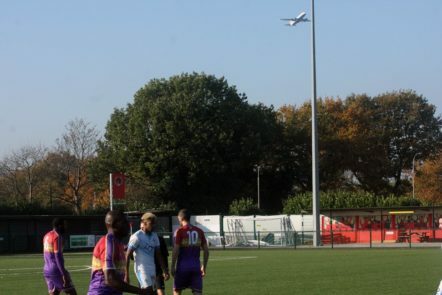 As highlighted by midfielder Stefan Nielsen in the post-match interview, the 3G pitch suited Clapton’s technical, passing style, but it did take a little while for them to adapt. 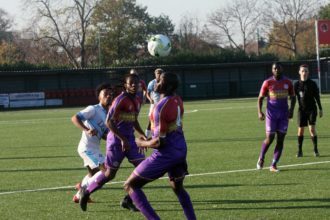 The home side had the majority of possession in the opening stages without many clear cut chances – as the taking-off planes outroared the Clapton faithful. 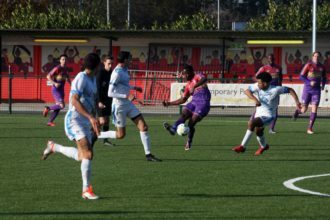 On 30 minutes, Sherwin Stanley tried to replicate the previous week’s deadly chip against Letchworth, but his effort was narrowly off target. Shortly afterwards, Bendovskyy made a good stop with his feet to deny the lively Galicia number 9 Bruno Gomes, who was rushing through on goal. 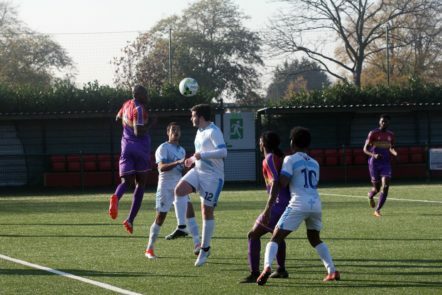 The next chance fell to Clapton when a Nielsen free kick from the halfway line swirled into the Galicia six-yard box. Three Tons went for it, but none of them managed to apply the touch it needed. It was just before half time when the match really burst into life. There was controversy when a delicious Nielsen ball from the right was tucked in by Stanley, only for it to be deemed offside by the assistant referee. The fact that it was a Galicia coach running the line may or may not have something to do with the decision. The jury’s out, but his apologetic shrug towards the Clapton support told a story! The evenly-balanced tie then tipped sharply in visitors’ favour, when Galicia were reduced to ten men. Tons talisman Eliot Crosbie, who as well as grabbing goals does invaluable work absolutely monstering defenders off the ball, on this occasion went in a bit hard on Galicia’s Karim Tayib. The foul was given the home side’s way, but the foulee petulantly kicked out to land himself a straight red. At half time Bendovskyy was withdrawn due to a niggling foot injury and Ashley Headley – usually a defender but a quality keeper in his own right – took his place between the sticks. He was immediately forced into action, tipping a long range effort onto the bar. 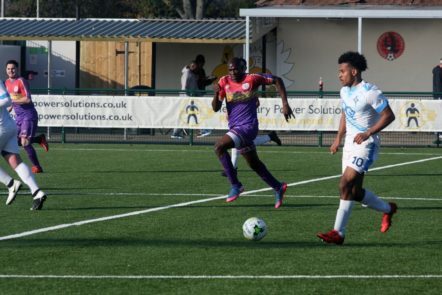 CCFC took the lead shortly afterwards, Josh Adejokun breaking in from the wing after a neat interchange from a throw-in then slotting home confidently. The advantage was doubled moments later when a lofted pass from captain Andrew Lastic was taken down by Crosbie inside the box. Galicia keeper Jack Dillon came out and blocked the shot, but some freakish backspin compelled the ball to bounce back over his outstretched arm and into the net. The physics of this goal were hard to understand and the easy thing would be to blame the plastic pitch. Let’s blame the plastic pitch. Then on 62 minutes the ten men managed to hit back when Headley rushed out to close down the angle on Gomes, who cunningly widened the angle before angling home from the corner of the penalty box. But the Galician fightback stalled when Crosbie bagged his second, knocking in a Stanley cross from close range. Victory was well and truly sealed when the on fire Stanley got his deserved goal late on. He reacted quickest to meg Galicia keeper Dillon, who had invitingly spilled a not-particularly-vicious Nielsen freekick. Ocran’s thoughts will now turn to continuing a six game unbeaten run when league business resumes with next Saturday’s trip to London Samurai Rovers. 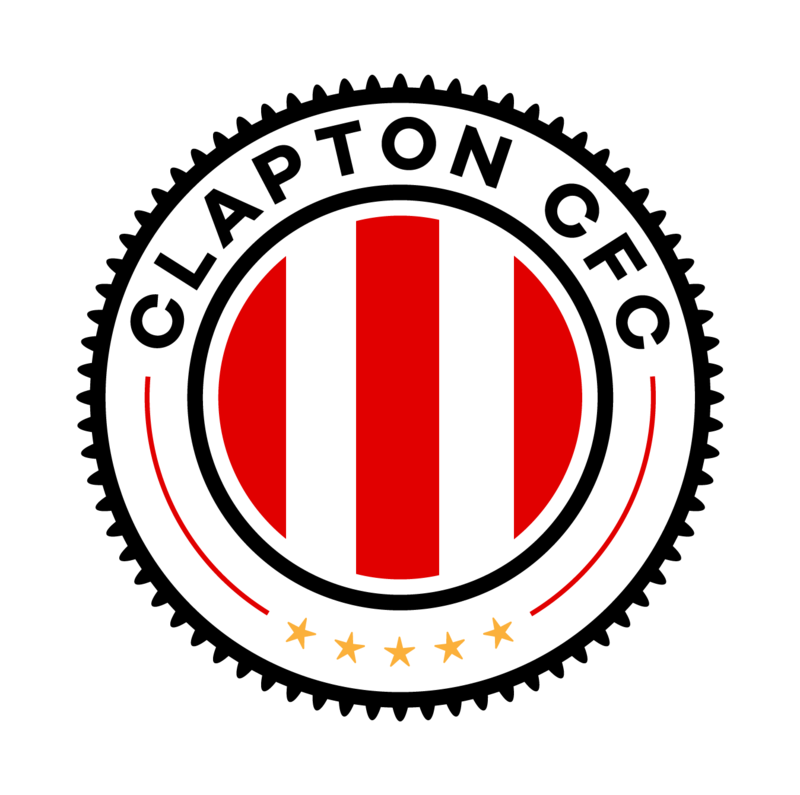 It will be good practice for the quarter final, where Clapton have been drawn against…London Samurai Rovers. Liam Smyth, Stefan Nielsen and Stu Purcell share their thoughts on the game, when they can be heard over the planes. Full debutant Bogdan Panescu put in a classy performance to show what the Tons fans have been missing during his wait for international clearance. The midfielder just edged out two-goal hero Eliot Crosbie and captain fantastic Andrew Lastic in our poll.